Consumer Discretionary Stocks Are Breaking Out! 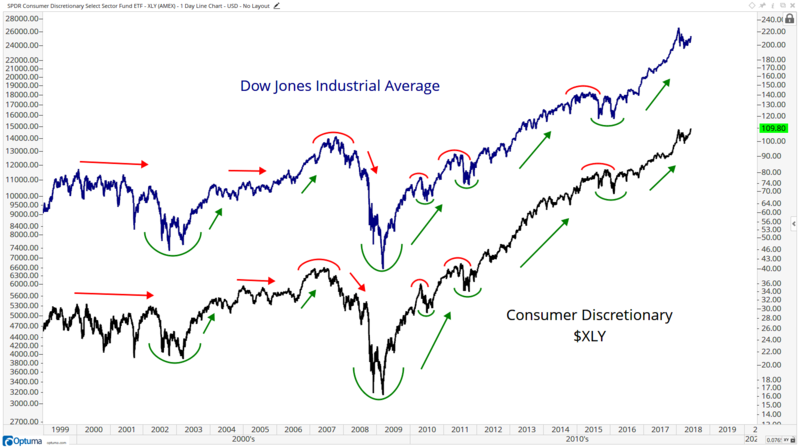 It’s hard for me to make a bearish case for stocks with the Consumer Discretionary sector breaking out on both an absolute and relative basis. 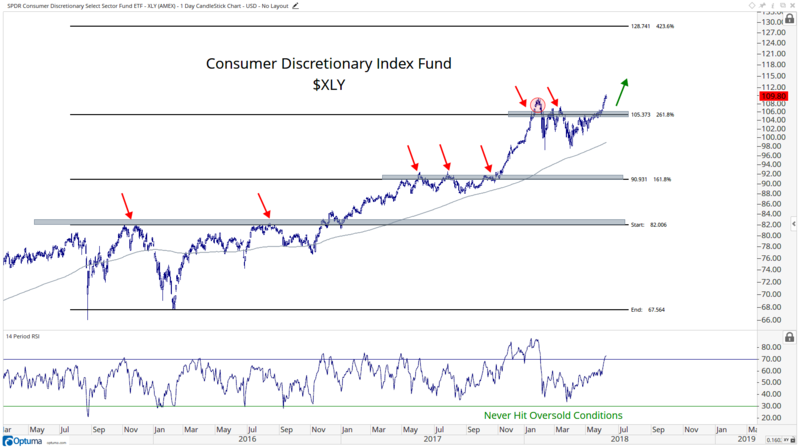 In other words, the Consumer Discretionary sector index fund is not only coming out of a 5-month base to new all-time highs, but relative to the S&P500, Discretionaries are coming out of a 30-month base to make new all-time relative highs. This is tough to ignore. 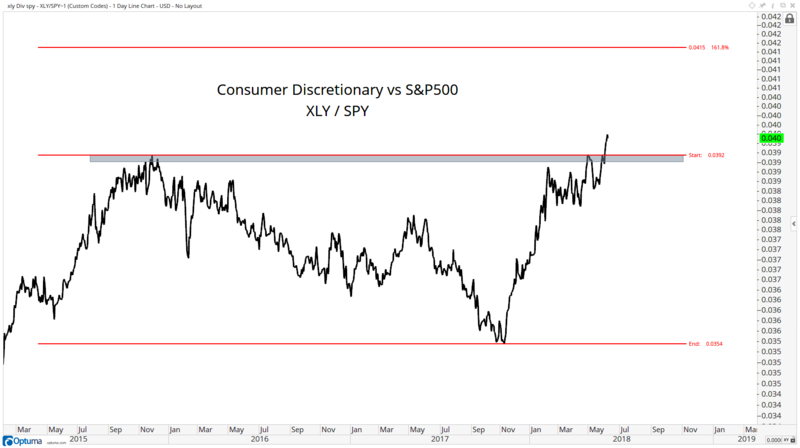 In early May, I pointed out that the Consumer Discretionary vs Consumer Staples ratio making new all-time highs was sector rotation suggesting higher stock prices in general. Since then the S&P500 is up 5.5%, the Small-cap Russell2000 is up 7.6% and the Nasdaq100 is up 7.8%. This sort of behavior is consistent with an environment where the riskier, more speculative, much higher beta Discretionary stocks are outperforming the safer, less risky and much lower beta Staples. This type of behavior is perfectly normal. Consolidations tend to resolve in the direction of the underlying trend, which is obviously up in this case. Any other outcome would be abnormal. So if Consumer Discretionaries $XLY are above 105, it’s awfully difficult for me to be bearish the group, and as is made perfectly clear in the first chart above, the S&P500 as well. It seems clear to me that we need to err on the long side of stocks, particularly discretionaries if we’re above 105 in $XLY and above the 2015 highs relative to S&Ps.